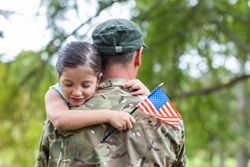 Simone Fargiorgio, CEO and owner of the S Fargiorgio Agency in Rhode Island, is leading a regional charity effort to help provide reintegration services to returning veterans in the area. Funds raised during the event will be provided to Operation Stand Down, a nonprofit group that helps veterans return to civilian life after a military career. “Helping end the cycle of despair and homelessness for these at-risk veterans requires more than putting a roof over their heads, and we hope all our friends will join us in supporting Operation Stand Down,” said Fargiorgio. The Fargiorgio team will be implementing an invitation system for donation generation in an effort to help build public support for the charity effort. For the duration of the campaign, Simone Fargiorgio has pledged to make a $10 donation to Operation Stand Down in the name of every person referred into the agency for a complimentary quote. Further information on how to help increase public support for the charity drive can be found here: http://sfargiorgioagency.com/rewards/. As a Personal Insurance Representative in Cranston, agency owner the Simone Fargiorgio knows many local families. Her knowledge and understanding of the people in her community ensures that clients of the S Fargiorgio Agency are provided with an outstanding level of service. Simone and her team look forward to helping families protect the things that are most important – family, home, car and more. The S Fargiorgio Agency also offers clients a preparation strategy for achieving their financial goals. To contact an expert at the S Fargiorgio Agency, visit http://sfargiorgioagency.com/ or call (401) 831-2099 or (866) 318-1991.